You might have come across situations when the jQuery click event listener works fine on desktop but it doesn’t fire on mobiles, tablets and other touch devices. This might happen when the event is not attached to an anchor tag but to some other element, like a div. There is a very simple solution to fix this issue. 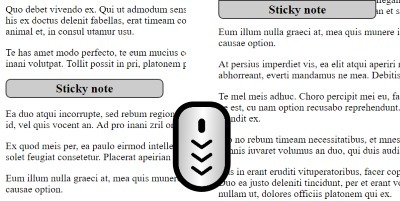 In this article I’m going to present a lightweight script to stick an HTML element to the top of the page when the user scrolls through it. Use this to make a menu, a call to action button or any other important element always stay in focus. Adjusting the script you can trigger other effects when the page scrolls through an anchor point. 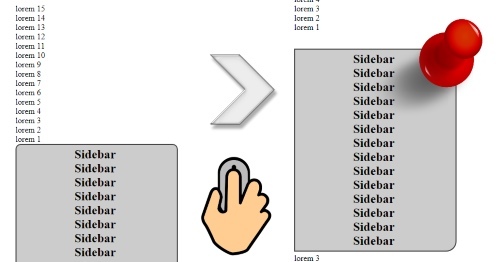 Here are the HTML CSS and JS codes to use to accomplish this effect.